I wore my sapphire today. 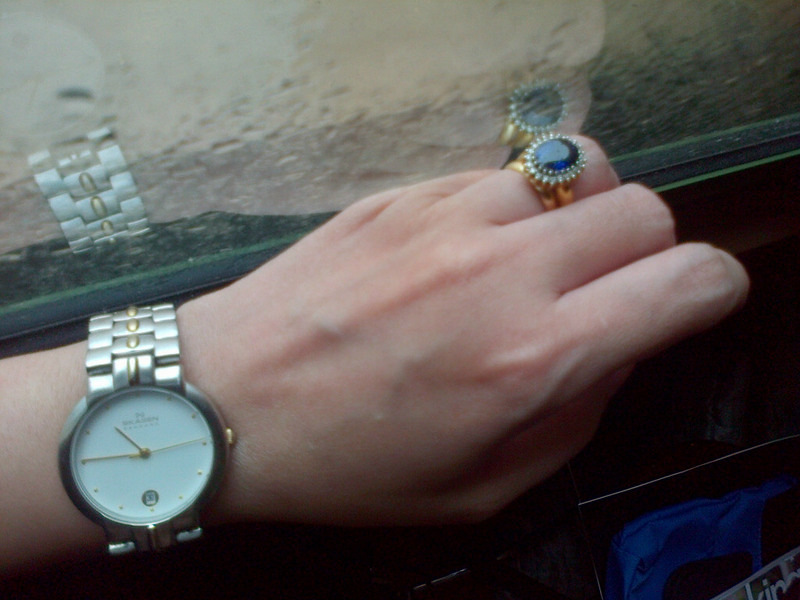 I usually wear my topaz but since the gloomy weather felt kinda blue, I took this ring out of its box. I love it. I bought it because I wanted it to be my engagement ring. I'm a Diana fan! But Vince gave me a diamond because he said, "Look at what happened to that marriage!" Sooo romantic! What I find most romantic is not the royal aspect really but their determination to stay together and their commitment to each other. That's the only secret to a good marriage, kids. Commitment. It's the most serious and most romantic thing in the world!